The safety of students at the school is our primary concern in adverse weather situations and all decisions will be made using this criterion as the priority. We will make every effort to remain open as normal, as working life must go on whenever possible, and it is only when safety is at risk that a judgement to close the school will be made. At Lightcliffe, we are very dependent on the providers of the buses serving the school. The school does not have any jurisdiction or authority over the bus providers. However, decisions about school closure may be made after consultation with the various agencies that organise the bus service. We have had bad weather arrangements in place for many years, however, it is our experience that as soon as snow arrives, the school switchboard becomes jammed with messages and queries from anxious parents. This not only overwhelms our office staff, but also prevents bus companies from being able to get through and update us about any changes to student collection arrangements. We would therefore ask you not to phone unless it is an emergency, and to work with arrangements set out below. On Day 1 of snowfall overnight we will try to be open if the health and safety of students and staff is not compromised. As we are so reliant on the bus service, a decision about closure would need to be made by 7.00am when the first buses leave the depot. 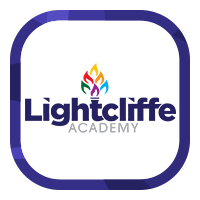 By 7.00am we will post a notice on the school website www.lightcliffeacademy.co.uk, on our twitter feed, on the Calderdale LA website, by notice on Radio Leeds and Pulse Radio and with a text message to the first emergency contact number supplied to school. It is therefore, very important that you inform the school office, if this telephone number changes. If that notice has not been read or heard then you should assume that the school is open. 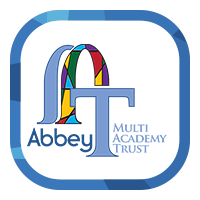 Please do not ring school to ask if it is open as we need to keep lines open for staff to ring in if they are having travelling difficulties. If snow falls during the school day, bus companies will make every effort to honour their normal contracts, even if they arrive very late. However, if they have to advise during the day that local roads are about to close, then there is no safe alternative to early closure of the school so that both students and staff can get home. Where this happens, as before, we will use the local radio snow lines, the school website, texts and to parents to advise you that we have to close, and I and/or senior staff will remain on the premises until the last child has got away safely. We will endeavour to get the school buses to school as quickly as possible and for them to meet students at Lightcliffe. If the weather deteriorates rapidly buses may take some time to arrive at school, or may not arrive at all, and contingency plans may need to be made with your child(ren). If the school is to be closed on Day 2 or 3 then a decision will be made as early as possible so that parents can make arrangements. Notification will be made in the same way as point 1 & 2. Please be aware that one of the particular difficulties with the Lightcliffe site is that car parking and the playground areas need to be as clear of snow as possible in order to ensure the site is safe and that consideration of this will form part of the decision making process about closure. When considering the point at which to make a decision about closure, we will need to balance the benefits of an early decision (parents having time to plan childcare, avoiding wasted journeys) against the risk of closing school and finding next day that there is only a minimal problem. If forecasts make it very likely that there will be heavy snow the next day then a decision the previous evening may be appropriate. Staff too have journeys to make home and very often children at school or nursery to consider as they plan to get to work or get home. If the school closes early, students will be supervised and will not be left unattended, however, parents should be aware, in the interests of safety for all, this supervision may be minimal. If school remains open but conditions are poor, we understand that some students may arrive late because conditions are difficult and we prefer lateness to absence. If travel organisations recommend only essential travel in poor weather then you should be aware that in the Department for Education’s view, essential travel includes pupils going to school to keep learning, and school staff going to work. If roads have been left ungritted during poor weather conditions, the buses may have to re-route and/or stick to main roads which have been gritted. In this event your child needs to know their way to and from the main road and may need to catch a bus from the main road or walk home from there. If you have particular concerns or need to speak directly to the bus company. - Going to a friend’s house if they live nearer to school until parents can safely pick them up. - Walk home if necessary – please make sure that the route is known. Thank you for your support with these arrangements and your consideration for all those who work at the school, both students and staff. Unfortunately, according to long term weather forecasts, it is highly likely that some of the points made here will need to be at least considered this winter. Be assured that safety is the number one priority and we will do our utmost to minimise the impact on learning. Access and Egress in and out of the Academy grounds/buildings is through the main school gate. Disabled parking is accessible at the front of school. Disabled visitors are required to have a personal emergency evacuation plan carried out when visiting the academy. Disabled visitors may telephone ahead for required assistance or to discuss their visit. Please note that though the academy has areas accessible by lifts not all floors are accessible.